Plastic surgery can be reconstructive or cosmetic in nature. Often, it is both. Cosmetic procedures are designed to enhance or alter a part of the body that is functioning normally. These are elective surgeries that improve aesthetic appearance by restoring proper proportion or reversing the signs of aging. A reconstructive surgery, on the other hand, is based on a medical need to correct a part of the body in terms of functionality. Reconstructive procedures may or may not include improving cosmetic appearance as well. For example a patient who has excessive upper eyelid overhang may not be able to see clearly. The vision impairment may warrant reconstructive eyelid surgery. However, an experienced plastic surgeon will also improve and rejuvenate the appearance of the eyes as well. It is important to find a plastic surgeon who has training and experience in both reconstructive and cosmetic procedures. 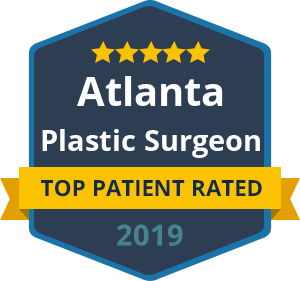 A board certified plastic and reconstructive surgeon is certified by the American Board of Plastic Surgery. This typically involves a residency in general surgery or Otolaryngology before going on to complete a 2 to 3 year residency in plastic and reconstructive surgery. Dr. Talei became one of the only surgeons in the country to complete two separate fellowships in Facial Plastic & Reconstructive Surgery. He is an elite plastic surgeon that you can trust with your facial abnormalities as well as your aesthetic flaws. The difference in whether or not your procedure is purely cosmetic or reconstructive in nature can also matter in terms of cost. Insurance plans will typically not cover cosmetic procedures, but a reconstructive procedure that restores function may be covered or partially covered.